Nevada Women’s Philanthropy (NWP) elected to grant $465,000 to Future Smiles to create the NWP Dental Wellness Center at the Elaine P. Wynn Elementary School where it will be able to expand its services to provide more comprehensive dental treatment to Clark County School District school children. The NWP Founders Gift for $30,000 was awarded to The Blind Center of Nevada. Currently Future Smiles provides prompt response to children in immediate oral pain and preventive oral health services such as cleanings, sealants, X-rays and oral health education. This grant will allow Future Smiles to continue to provide these services while adding a permanent clinic as well as a dentist and dental assistant. 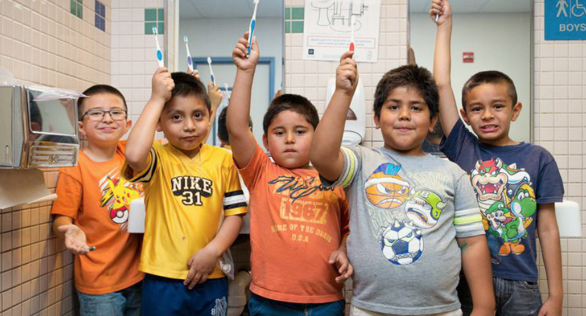 “We are incredibly grateful to NWP for giving us the opportunity to expand our program services to include an on-site dentist, creating a streamlined solution for children who need restorative dental care promptly,” said Terri Chandler, Founder and Executive Director of Future Smiles. Additionally, a $30,000 NWP Founders Gift was awarded to The Blind Center of Nevada.